While doing some last minute shopping on Christmas Eve a man has a magical experience. He watches a child preparing to get on Santa’s lap through a shop window and is reminded about a special Christmas memory. When the child gets down Santa makes eye contact with the man and they are immediately taken back to a moment they had shared (in his past). 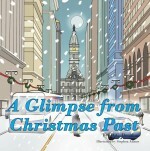 So the story unfolds as he stares through a window of time at a Glimpse from Christmas Past . . . Recently retired after 42 years of service in the supermarket retail industry. I have played guitar most of early teenage years and have taken up winemaking since my retirement. My wife and I enjoy family, friends, traveling and good food and wine is always a plus. Things we plan to explore further in the coming years. To be honest I get an idea for something and I still like writing it out the old fashioned way. When I feel I have something solid and mostly developed I review it with my editing wife. Once I have the rough draft outlined and the ideas for the correlating illustrations I am off to the races. A saying carpentry terms is very important to remember "measure twice and cut once" can equally apply to writing "edit at least twice before publishing". Well as an Indie author it certainly isn't for the money. I think if you are gifted with the talent to tell a story and have the time, resources, determination and willingness to share your gifts, regardless of what others may think, then you should do it. I always liked to tinker with ideas for games, books, poetry etc... I just felt I needed on a personal level a sense of accomplishment on any number of levels as a validation of myself. 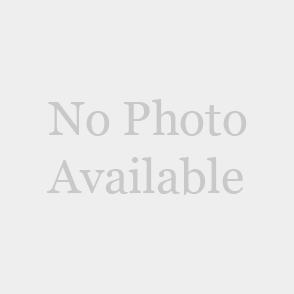 I just recently published a first reader (pre-k thru K) "Keira in the Mirror". I also have written and developed the second part of that book series while developing other ideas. Our families, past, present and future. Although the first thing I attempted was a play... I quickly decided I'd better start with something that is as comfortable to me as a worn broken in pair of jeans and that is writing about family, holidays, special moments and in a way that everyone can be a part of the story as they have lived it or shared the same experiences. So to date it is mostly children's books. You really get in touch with your abilities, with your hands in the dirt, on what your strengths and weaknesses are as writer e.g. Editors and Proof Readers have jobs for a reasons and that's because not all good storytellers are grammarians. The learning process for the first time can be both wonderful and frustrating. Learning to have a good editor and really trust their instincts. Learning the ins and outs of building a brand name and using all the tools available today through the various social media sites. Most importantly my first publisher dictated the price of the book which I felt was almost twice as high as it should be. This has hurt my book sales to date. So you future writers make sure you have the final say with YOUR publisher the price of YOUR book and also see if you control of aspects to the finished product once done both the written and illustrative work with no strings attached! When I started to receive emails, text to my website from fans from various parts of the world. An authors work is like that of a song writer as each work is like your child and you want only the best for it. You want to see it crawl, walk, run and then sprint in life as it grows expanding it circle of friends and experiences at each stage. I still struggle with this one. I am currently regarded as a children's book author but you often feel you will never be recognized as a true author unless you have written one of the great works o your day. I have an opened dialogue with my readers via website (www.dcdonahue.com) or other book related social media site. Yes. She has immense input and impact at every stage and I rely on her honesty; besides I enjoying sleeping with my editing wife of 39 years. My Aunt Marie (Sr. Joseph Andrew SSJ) was revered by many as a teacher and mentor. That being said I could still use her help with punctuation and proper grammar. Sr. Mary Anthony (IHM) in first grade for being honest enough at an early age to take you aside and point out your strengths and weakness.Now this is going to sound horrible as I can't remember the professor's name who taught the English Comp & Lit course me at St. Joe's back in the mid seventies. He had the most profound influence on who, what, when, where and why of not just writing but sentence structure. I can still hear him say...'write each sentence and make it as short and descriptive as possible and in a manner the reader will enjoy making them want to turn the next page". No but if you have please advise. I don't mind sending a copy of the book if warranted but keep in mind I am not willing to pay people for reviews. I hope most people are like me and will review books from where they purchased them. Don't disregard the importance of learning writing in cursive, English/Grammar, Reading/Comprehension for if you excel in these the other subject falls into place. My opinion as an Indie author I just feel it is an added expense and I am not sure you get your bang for your buck. I have to walk away from it and gather my thoughts.